Carbonated grapefruit juice drink with sugar and sweetener. A drop of Caribbean sunshine. 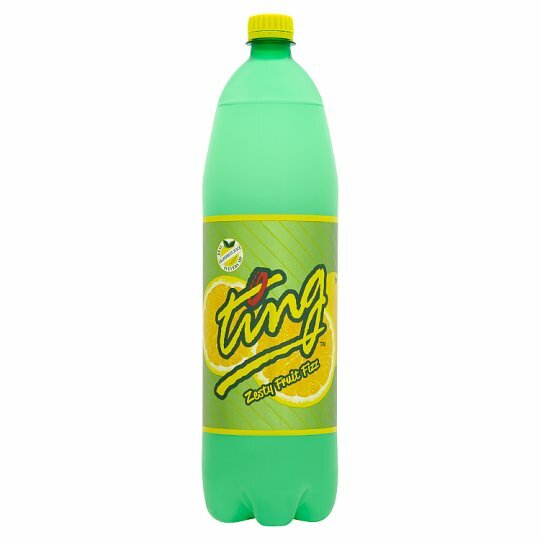 Ting is the ultimate thirst quencher. Lightly carbonated, natural citrus refreshment, made with real grapefruit. Keep cool and out of direct sunlight., Once opened keep refrigerated and consume within 3 days., Best Before End: See base of label, neck of bottle or cap. Pressurised container, open with care.